This article is 2579 days old. Windsor Police are investigating after a single vehicle collision sent a 22 year old Windsor man to hospital suffering from serious injuries early this morning. At 3:30 am, police and other emergency officials responded to Dougall Avenue at the E.C Row Expressway for a report of a single motor vehicle collision. 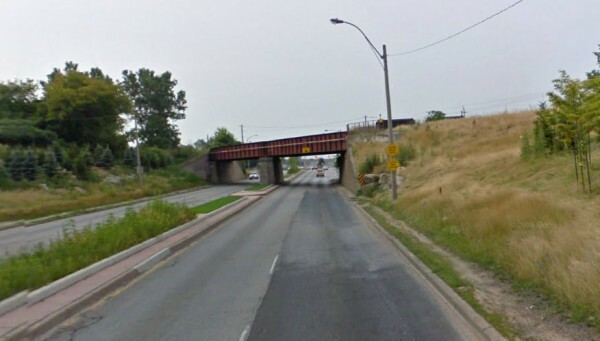 When they arrived, they found a 2000 Lincoln at rest against the center support column of the railway over pass just south of South Cameron Blvd. The vehicle had sustained heavy damage. Windsor Fire and Rescue were forced to extricate the driver from the mangled vehicle, and he was transported to Hotel Dieu Hospital where he currently being treated for serious injuries. Police say that the Lincoln had been southbound on Dougall Avenue from Ouellette Place in the center lane when it left the roadway, jumped the center curb and struck the support column. A witness following the Lincoln observed the collision and stopped to assist the driver prior to police arrival on scene. Accident reconstruction officers attended the scene due to the severity of the driver’s injuries. The investigation is continuing and police believe that alcohol may be a contributing factor in this collision. Any one who may have witnessed this collision is asked to call the Windsor Police Traffic Unit at 519-255-6700 ext. 4211.